This study was done to identify the current status of turnover research on Korean nurses and to suggest directions for future research. A total of 63 articles over the past 10 years were selected using key words such as turnover intention or turnover-related variables from several databases. Frequency and percent were used to describe the characteristics of the turnover studies. Quantitative research accounted for 90.5% of the total studies, and 60.3% of the studies were published by the Journal of Korean Academy of Nursing Administration. Most studies focused on the turnover intention of general nurses (71.9%) working in general hospitals (54.4%). Lawler’s turnover intention tool was used in 28.1% of the studies with a relatively high score for Cronbach’s alpha (0.7≤ a in 98.2% studies). 50.9% of the studies used descriptive survey design, and stepwise or hierarchical regression was used for the final statistical methods in 49.1% of the studies. Among the studies, 42.1% included job satisfaction as an influencing factor for turnover intention. In late twenties, single status, college graduates, staff nurse, low salary, and nursing experience with 1-5 years appeared to be significantly related to turnover intention across the studies. To date, turnover intention has been substituted for turnover in most studies. Because it is believed that nursing turnover will continue and ultimately challenge patient care and nursing outcomes, longitudinal research with actual turnover data is needed to produce new evidence on the turnover culture and its effects on health care outcomes in Korea. Keywords: Academic journals, Korean nurses, Job satisfaction, Turnover, Turnover intention, Socio-demographic. © 2019 Hyo Geun Geun. It is generally acknowledged that the nursing shortage is mostly being aggravated by an aging nursing workforce or early retirement. However, the nursing shortage also occurs due to nurse turnover. It is not surprising that there are thousands of studies reporting on nurse’ turnover which include related attributes such as job satisfaction. In Korea, early nurse turnover with less than 1-year of nursing practice is especially a concern [1Hospital Nurses Association. Actual condition survey report of nursing staff [Internet] Seoul: Korean Hospital Nurses Association 2016 [cited 2016 December 22]; Available from http://blog.naver.com/ PostView.nhn?blogId=healthwise_korea&logNo=220980505793]. Regarding the current vacancy rates of Korean nurses, it is estimated at 18.7% of turnover typically associated with the official organization termination [1Hospital Nurses Association. Actual condition survey report of nursing staff [Internet] Seoul: Korean Hospital Nurses Association 2016 [cited 2016 December 22]; Available from http://blog.naver.com/ PostView.nhn?blogId=healthwise_korea&logNo=220980505793]. Meanwhile, Korea has become an aged society with more than 14% of the population aged 65 years or older in 2017 [2Korea S. Percentage of elderly people population in 2018 Internet2018. [cited 2018 December 22]http://kosis.kr/statHtml/statHtml.do?orgId= 101&tblId=DT_1YL20631&vw_cd=MT_GTITLE01&list_id=101&seqNo=&lang_mode=ko&language=kor&obj_var_id=&itm_id=&conn_path=MT_GTITLE01]. This aging of the Korean population is much faster than other populations in developed countries such as France or Japan. Considering these situations, it is clear that more nurses are needed to take care of older groups of people. Actually, there are currently 205 nursing schools in 3-year colleges and 4-year universities, and there are about 20,000 new graduates per year [1Hospital Nurses Association. Actual condition survey report of nursing staff [Internet] Seoul: Korean Hospital Nurses Association 2016 [cited 2016 December 22]; Available from http://blog.naver.com/ PostView.nhn?blogId=healthwise_korea&logNo=220980505793]. However, the turnover rate for new graduate nurses after 1 year of employment was estimated at 38.1% in 2016 [1Hospital Nurses Association. Actual condition survey report of nursing staff [Internet] Seoul: Korean Hospital Nurses Association 2016 [cited 2016 December 22]; Available from http://blog.naver.com/ PostView.nhn?blogId=healthwise_korea&logNo=220980505793]. Many of them would not come back to work or even to the nursing profession. In addition, only half of the registered nurses are employed in practical nursing fields [1Hospital Nurses Association. Actual condition survey report of nursing staff [Internet] Seoul: Korean Hospital Nurses Association 2016 [cited 2016 December 22]; Available from http://blog.naver.com/ PostView.nhn?blogId=healthwise_korea&logNo=220980505793]. Therefore, nurse turnover is a very critical issue in Korean nursing. To date, a great deal of studies related to nurse turnover have been published by Korean academic journals or periodicals. From the literature, one point should be emphasized that turnover intention, instead of turnover, has been used as a substitute for turnover in most turnover studies. It is assumed that it was probably difficult to get real turnover data from hospitals or even nurses. Turnover intention scales reflecting the comprehensive picture of Korean nurse turnover are used in very few studies. That is, most studies used instruments that were developed by authors outside Korea and modified by Korean authors to meet their purpose [3Choi SN, Ko IS, Kim IS, Yoon KS. Effects of perception of career ladder system on job satisfaction, intention to leave among perioperative nurses. J Korean Acad Nurs Adm 2015; 21(3): 233-42. [http://dx.doi.org/10.11111/jkana.2015.21.3.233] -4Kim YN, Jang IS. Moderating and mediating effects of social support in the relationship between work-family conflict, job satisfaction and turnover intention among married women nurses. J Korean Acad Nurs Adm 2014; 20(5): 525-34. [http://dx.doi.org/10.11111/jkana.2014.20.5.525] ]. In addition, study designs used were mostly cross-sectional designs, limited to examining simple relationships among the variables included. In terms of the study methods, very few studies used qualitative methods to explain the turnover intention of Korean nurses while quantitative studies were adopted in over 90% of the turnover research. Regarding the related factors or causes of turnover, many turnover studies have investigated the related variables for turnover intention mostly in terms of the conditions of the work environment as well as the nursing fields or individual characteristics. For example, the type of independent variables most frequently included per study were job satisfaction, organizational commitment, job stress and so on, which are the main characteristics of a poor work environment [3Choi SN, Ko IS, Kim IS, Yoon KS. Effects of perception of career ladder system on job satisfaction, intention to leave among perioperative nurses. J Korean Acad Nurs Adm 2015; 21(3): 233-42. [http://dx.doi.org/10.11111/jkana.2015.21.3.233] -5Han S, Kim O, Joo Y, Choi E, Han J. [Effects of nurses’ mentoring on turnover intention: focused on the mediating effects role stress and burnout]. J Korean Acad Nurs 2013; 43(5): 605-12. [PMID: 24351992] ]. In addition, the level of wages or the size of the hospitals where nurses were working were found to be related to nurse turnover [1Hospital Nurses Association. Actual condition survey report of nursing staff [Internet] Seoul: Korean Hospital Nurses Association 2016 [cited 2016 December 22]; Available from http://blog.naver.com/ PostView.nhn?blogId=healthwise_korea&logNo=220980505793, 6Choi HJ. Moderating effects of work-family conflict between job-organizational career characteristics and turnover intention among nurses in small and medium-sized hospitals. J Korean Acad Nurs Adm 2015; 21(3): 297-307. [http://dx.doi.org/10.11111/jkana.2015.21.3.297] -7Han MR, Gu JA, Yoo IY. Influence of workplace bullying and leader-member exchange on turnover intention among nurses. J Korean Acad Nurs Adm 2014; 20(4): 383-93. [http://dx.doi.org/10.11111/jkana.2014.20.4.383] ]. When considering the increased nurse turnover or vacancy rates, there were some suggestions regarding practical plans for the supply and demand of the nursing workforce in Korea in 2013 as follows [8Kim BH, Chung BY, Kim JK, et al. Current situation and the forecast of the supply and demand of the nursing workforce in Korea. Korean J Adult Nurs 2013; 25(6): 701-11. [http://dx.doi.org/10.7475/kjan.2012.24.6.701] ]: re-draw two-year associate degree; decrease the salary gap between nurses working at hospitals in cities or in rural areas, or introduce new rating systems. However, the effect of the suggested strategies was not followed-up with implementation during similar periods (2006-2015). As shown by evidence, it is hard to capture the turnover culture in Korean nursing even though there are many turnover studies. That is, we have little understanding of the turnover phenomenon, which restricts predicting future directions for nurse turnover and retention strategies. Fortunately, new research advocating a deeper understanding of issues regarding nurse turnover or retention is emerging in the field of nursing. The purpose of this study was to explore the trends in turnover studies published in journals by member societies over the past 10 years in Korea and suggest future directions for research, which will consequently advance the knowledge and discussion on the turnover of Korean nurses. We followed the Preferred Reporting Items for Systematic Review and Meta-Analysis (PRISMA) strategy. The target paper were articles published from 11 journals of Korean Academy Nursing: Journal of Korean Academy of Fundamentals Nursing (3 studies), Korean Journal of Women Health Nursing (1 study), Journal of Korean Academy of Nursing Administration (38 studies), Korean Journal of Adult Nursing (3 studies), Journal of Korean Gerontology Nursing (2 studies), Journal of Korean Academic Society of Nursing Education (1 study), Journal of Korean Academy Nursing (9 studies), and Journal of Korean Clinical Nursing Research (6 studies). No turnover studies were published in 3 journals in the same periods. Sixty-three articles in total were selected for analyses. Of them, 6 articles (9.5%) were qualitative studies. The author excluded master theses or dissertations published during these periods because they are not yet categorized into any one of the nursing journals or fields. The author only focused on the papers published in the 8 selected journals of the Korean Academy Nursing. Data were collected by searching journals using key words. Keyword searches were limited to publications from 2006 to 2015 that examined turnover or turnover intention and targeted for Korean registered nursing populations working in general hospitals, long-term care facilities or community-based institutions. The keywords used for the search were as follows: nurses, turnover, turnover intention, retention, stay, remain, workforce, work environment, and job satisfaction. Initially, 63 articles were individually identified in the search by applying the selection criteria. Six qualitative studies were excluded due to the purpose of this study, and 57 studies were used for further analyses. Socio-demographic variables significantly related to turnover intention. Basic information on all the studies was initially documented in the EXCEL program. Then, descriptive analyses were used for the frequency distribution and percentage according to the study categories. Of the 63 studies, quantitative research accounted for 90.5%, while qualitative research accounted for 9.5% (Table 1). In the first 5-year period, 21 articles (33.3%) were published, while 66.7% of the articles were published from 2010 to 2015, indicating a one third increment during the later period. By year, 12 studies were published in 2013 alone, and the Journal of Korean Academy of Nursing Administration published 38 (60.3%) studies, followed by the Journal of Korean Academy Nursing (14.3%) for the 10-year period. No studies were presented from the following three nursing journals: The Journals of Korean Academy of Community Health, Child Health Nursing, and Psychiatric and Mental Health Nursing. Distribution of Turnover Articles Published by Academic Journals Between 2006 and 2015 (N=63). Characteristics of the Subjects and Hospitals in Articles (N=57). Table 2 shows the general characteristics of the target subjects and institutions included in each study. For this description, only quantitative studies were included (N=57). The most frequently used study subjects were general nurses (71.9%). The number of total subjects included per study was 500-999 in 54.4% of the studies, followed by 300-499 subjects in 29.8% of the studies. 57.9% of the studies investigated subjects from 10 to 99 different hospitals, while 2 studies searched for all targeted institutions that the subjects worked in. The type of hospital was mostly general hospitals (54.4%), while 3 studies (5.3%) were conducted in long-term care hospitals. As shown in Table 3, various tools for turnover intentions were used in turnover studies. The most frequently used instrument for turnover intention was Lawler’s tool [9Lawler EE. Satisfaction and behavior 1983; 287-301.] (16 studies), while 4 studies used an instrument, which was newly developed for their study’s purpose. Lawler's instrument is composed of 4 items with 5-point Likert scales, and it has been revised and used by Korean authors. It was found that 35.1% of turnover studies used turnover measurement tools consisting of 5 or 6 items, and the 5-point Likert scale was used in more than a third of the turnover studies. The reliabilities of the instruments showed that Cronbach’s alpha was more than 0.8 in 75.4% of the studies, indicating the appropriate reliability of the instrument in general. Table 4 presents the characteristics of the variables and type of research methods per study. Research design, which was most frequently used, was a descriptive exploratory survey (50.9%), and 49.1% of the studies used stepwise or hierarchical multiple regression for the final analysis. A variety of independent or dependent variables, about 76 different types of variables, were included in the turnover studies. Regarding the number of variables used per study, 3 or 4 variables on average were included in about half of the studies (52.6%) to define the relationships with turnover intentions. Of them, job satisfaction was the most frequently used variable in the turnover intention studies (24 studies, 42.1%), followed by organizational commitment (19 studies, 33.3%) and job stress (11 studies, 19.3%). In 40% of the studies, more than 4 variables per study were included to explain the variance in turnover intention. In addition, these explanatory variables accounted for 30-50% of the variance in the turnover intention. Distribution of Turnover Intention Tools Used in Articles (N=57). Characteristics of the Variables and Type of Research Methods Used for Articles. As described in Table 5 of the socio-demographic characteristics of the study participants, the variables significantly associated to turnover intention were age, marital status, education level, years of nursing experience, position, and salary. In one third of the studies, 25-29 years old nurses reported a significantly different turnover intention compared to nurses in the other age groups. In addition, single nurse was much more significantly related to turnover intention than married nurse in 14 studies (92.9% and 7.1%, respectively). In 7 studies (50%), college graduated nurses reported a higher turnover intention than nurses with different educational backgrounds. Nurses, who had experienced in nursing practice between 1 to 5 years, were more likely to have a high turnover intention than nurses who had a different number of years of nursing experiences (45.5%). As for the position, except 2 in studies, 86.7% of the studies reported that staff nurses showed a significantly higher turnover intention than that of the head nurse or nurse managers. In 10 of 13 studies, it was found that when nurses received lower than 3,000,000 won (about 3,200 $) per month, they had a great intention to leave their current organizations. Nurse turnover is regarded as important all over the world, and it is well acknowledged that exploring factors that can contribute to both the retention of nursing staff and leading to turnover in their current organizations or jobs is also a very important issue in Korean nursing. This literature review aimed to reach a deeper understanding of the culture of turnover in Korean nurses. As in other developed countries, nurse turnover in Korea is projected to increase, and accordingly, the nursing shortage will continue over the next decade. Fortunately, from the current literature review, research on nurse turnover has increased from 21 articles (2006-2010 period) to 42 articles (2011-2015 period). That is, nurse turnover is an increasingly appealing issue in Korean nursing although the available number of qualified nurses continues to increase. Of the 8 academic journals, the Journal of Korean Academy of Nursing Administration published 38 articles, representing 60.3% of the total publication articles. This finding seemed understandable because nursing administration is closely related to the management of human resources in health care organizations. However, it is expected that nurses working in different areas such as operation [3Choi SN, Ko IS, Kim IS, Yoon KS. Effects of perception of career ladder system on job satisfaction, intention to leave among perioperative nurses. J Korean Acad Nurs Adm 2015; 21(3): 233-42. [http://dx.doi.org/10.11111/jkana.2015.21.3.233] ] or emergency rooms [10Sung MH, Choi EY. The relationships between professional self-concept, nursing performance and retention intention f emergency department nurses. J Korean Acad Fundam Nurs 2012; 19(2): 244-52. [http://dx.doi.org/10.7739/jkafn.2012.19.2.244] ], or public institutions [11Lee YJ, Kim SH, Lee TW. Effects of job characteristics, organizational culture on job satisfaction and turnover intention in public institution nurses. J Korean Acad Nurs Adm 2015; 21(4): 354-65. [http://dx.doi.org/10.11111/jkana.2015.21.4.354] ] have different factors affecting their turnover or turnover intention; thus, further studies are strongly needed to investigate the factors underlying their professional backgrounds or working departments. In addition, because the author found that turnover studies have been mostly done using quantitative research methods and surveys, more qualitative studies to produce an in-depth understanding of the turnover trend needs to be explored [12Hayes LJ, O’Brien-Pallas L, Duffield C, et al. Nurse turnover: a literature review - an update. Int J Nurs Stud 2012; 49(7): 887-905. [http://dx.doi.org/10.1016/j.ijnurstu.2011.10.001] [PMID: 22019402] -14Lee EH, Cho KS, Son HM. A study of hospital nurse’s intention to keep nursing job. J Korean Clin Nurs Res 2014; 20(1): 15-27.]. Regarding the nurses and hospitals used in the studies, general nurses were the most common subjects. They were easily contacted by the survey researchers because these nurses were working in general or university hospitals, and these hospitals have a department for research cooperation. There is a report that nurses in small-sized hospitals are two-times more likely to leave their hospitals than nurses working in big sized general hospitals [1Hospital Nurses Association. Actual condition survey report of nursing staff [Internet] Seoul: Korean Hospital Nurses Association 2016 [cited 2016 December 22]; Available from http://blog.naver.com/ PostView.nhn?blogId=healthwise_korea&logNo=220980505793, 6Choi HJ. Moderating effects of work-family conflict between job-organizational career characteristics and turnover intention among nurses in small and medium-sized hospitals. J Korean Acad Nurs Adm 2015; 21(3): 297-307. [http://dx.doi.org/10.11111/jkana.2015.21.3.297] ]. Actually, it is expected that medium or small sized hospitals may not provide a better working environment than the other big-sized hospitals for staff nurses [6Choi HJ. Moderating effects of work-family conflict between job-organizational career characteristics and turnover intention among nurses in small and medium-sized hospitals. J Korean Acad Nurs Adm 2015; 21(3): 297-307. [http://dx.doi.org/10.11111/jkana.2015.21.3.297] ]. Therefore, further studies that compare nurses’ turnover trends based on hospital size or diverse samples are warranted. Lawler’s turnover intention measurement was the most frequently used tool in the studies [3Choi SN, Ko IS, Kim IS, Yoon KS. Effects of perception of career ladder system on job satisfaction, intention to leave among perioperative nurses. J Korean Acad Nurs Adm 2015; 21(3): 233-42. [http://dx.doi.org/10.11111/jkana.2015.21.3.233] -7Han MR, Gu JA, Yoo IY. Influence of workplace bullying and leader-member exchange on turnover intention among nurses. J Korean Acad Nurs Adm 2014; 20(4): 383-93. [http://dx.doi.org/10.11111/jkana.2014.20.4.383] ]. The Validities of the instruments were assessed in some of the studies by a thorough literature review, but not all of them [15Yeun EJ, Kim H. [Development and testing of a nurse turnover intention scale (NTIS)]. J Korean Acad Nurs 2013; 43(2): 256-66. [http://dx.doi.org/10.4040/jkan.2013.43.2.256] [PMID: 23703603] ]. Turnover scales consisted of different numbers of items, from a single item [16Lansiquot BA, Tullai-McGuinness S, Madigan E. Turnover intention among hospital-based registered nurses in the Eastern Caribbean. J Nurs Scholarsh 2012; 44(2): 187-93. [http://dx.doi.org/10.1111/j.1547-5069.2012.01441.x] [PMID: 2248 6803] ] up to more than 10 items [4Kim YN, Jang IS. Moderating and mediating effects of social support in the relationship between work-family conflict, job satisfaction and turnover intention among married women nurses. J Korean Acad Nurs Adm 2014; 20(5): 525-34. [http://dx.doi.org/10.11111/jkana.2014.20.5.525] , 11Lee YJ, Kim SH, Lee TW. Effects of job characteristics, organizational culture on job satisfaction and turnover intention in public institution nurses. J Korean Acad Nurs Adm 2015; 21(4): 354-65. [http://dx.doi.org/10.11111/jkana.2015.21.4.354] , 15Yeun EJ, Kim H. [Development and testing of a nurse turnover intention scale (NTIS)]. J Korean Acad Nurs 2013; 43(2): 256-66. [http://dx.doi.org/10.4040/jkan.2013.43.2.256] [PMID: 23703603] ]. For example, single item Visual Analog Scale (VAS) was used to measure the turnover intention in 2 years and 5 years [16Lansiquot BA, Tullai-McGuinness S, Madigan E. Turnover intention among hospital-based registered nurses in the Eastern Caribbean. J Nurs Scholarsh 2012; 44(2): 187-93. [http://dx.doi.org/10.1111/j.1547-5069.2012.01441.x] [PMID: 2248 6803] ]. Mostly, five or six multi-item Likert scales were used to measure the turnover intentions and their reliabilities were analyzed using Cronbach’s alpha, which were more than 0.8 for most of the scales. Studies intending to develop new tools for Korean nurses were found in very few studies [15Yeun EJ, Kim H. [Development and testing of a nurse turnover intention scale (NTIS)]. J Korean Acad Nurs 2013; 43(2): 256-66. [http://dx.doi.org/10.4040/jkan.2013.43.2.256] [PMID: 23703603] ]. Evident by the literature review, researchers were more likely to use exiting tools rather than develop new ones for their studies. Therefore, the development of tools to access Korean nurse turnover is needed more than any other research activity. As for the study design used in the studies, cross-sectional design was highly frequently used, resulting in not causal inference but simple correlations among main variables. Stepwise or Hierarchical regression analyses were frequently used to find factors affecting turnover intentions [3Choi SN, Ko IS, Kim IS, Yoon KS. Effects of perception of career ladder system on job satisfaction, intention to leave among perioperative nurses. J Korean Acad Nurs Adm 2015; 21(3): 233-42. [http://dx.doi.org/10.11111/jkana.2015.21.3.233] -4Kim YN, Jang IS. Moderating and mediating effects of social support in the relationship between work-family conflict, job satisfaction and turnover intention among married women nurses. J Korean Acad Nurs Adm 2014; 20(5): 525-34. [http://dx.doi.org/10.11111/jkana.2014.20.5.525] , 6Choi HJ. Moderating effects of work-family conflict between job-organizational career characteristics and turnover intention among nurses in small and medium-sized hospitals. J Korean Acad Nurs Adm 2015; 21(3): 297-307. [http://dx.doi.org/10.11111/jkana.2015.21.3.297] , 11Lee YJ, Kim SH, Lee TW. Effects of job characteristics, organizational culture on job satisfaction and turnover intention in public institution nurses. J Korean Acad Nurs Adm 2015; 21(4): 354-65. [http://dx.doi.org/10.11111/jkana.2015.21.4.354] ]. Very few studies used path analysis and other advanced statistical methods [5Han S, Kim O, Joo Y, Choi E, Han J. [Effects of nurses’ mentoring on turnover intention: focused on the mediating effects role stress and burnout]. J Korean Acad Nurs 2013; 43(5): 605-12. [PMID: 24351992] ]. The power of the explanatory variables for the percent of variance was not low. The methods and selection of variables for the research seemed appropriate to some extent. However, most studies were conducted repeatedly with similar research designs and methods. Therefore, these studies ended to have results reported in previous studies. There were no studies on program development or the effect an intervention programs provided after verifying the influencing factors on nurse turnover. To date, many previous studies have shown that registered nurse turnover is influenced by a combination of several different factors such as work environment, health outcomes, workload, retentions strategies and so on [17Osuji J, Uzoka FM, Aladi F, El-Hussein M. Understanding the factors that determine registered nurses’ turnover intentions. Res Theory Nurs Pract 2014; 28(2): 140-61. [http://dx.doi.org/10.1891/1541-6577.28.2.140] [PMID: 25087326] ]. In addition, a general report provided various possible causes of turnover including role adjustment problem, marriage, degree attainment, change to another profession, irregular and night duty, human relationship problem retirement, low pay, and so on [1Hospital Nurses Association. Actual condition survey report of nursing staff [Internet] Seoul: Korean Hospital Nurses Association 2016 [cited 2016 December 22]; Available from http://blog.naver.com/ PostView.nhn?blogId=healthwise_korea&logNo=220980505793]. In the current literature reviews, job satisfaction appeared as the most frequently involved factor which impacts negatively the turnover intention of nurses [3Choi SN, Ko IS, Kim IS, Yoon KS. Effects of perception of career ladder system on job satisfaction, intention to leave among perioperative nurses. J Korean Acad Nurs Adm 2015; 21(3): 233-42. [http://dx.doi.org/10.11111/jkana.2015.21.3.233] , 4Kim YN, Jang IS. Moderating and mediating effects of social support in the relationship between work-family conflict, job satisfaction and turnover intention among married women nurses. J Korean Acad Nurs Adm 2014; 20(5): 525-34. [http://dx.doi.org/10.11111/jkana.2014.20.5.525] , 11Lee YJ, Kim SH, Lee TW. Effects of job characteristics, organizational culture on job satisfaction and turnover intention in public institution nurses. J Korean Acad Nurs Adm 2015; 21(4): 354-65. [http://dx.doi.org/10.11111/jkana.2015.21.4.354] , 17Osuji J, Uzoka FM, Aladi F, El-Hussein M. Understanding the factors that determine registered nurses’ turnover intentions. Res Theory Nurs Pract 2014; 28(2): 140-61. [http://dx.doi.org/10.1891/1541-6577.28.2.140] [PMID: 25087326] ]. In addition, many studies have highlighted the links between nursing turnover and negative organization-related attributes, such as job stress, burnout, and staff ratio [5Han S, Kim O, Joo Y, Choi E, Han J. [Effects of nurses’ mentoring on turnover intention: focused on the mediating effects role stress and burnout]. J Korean Acad Nurs 2013; 43(5): 605-12. [PMID: 24351992] ]. For example, Aiken et al. [18Aiken LH, Clarke SP, Sloane DM, Sochalski J, Silber JH. Hospital nurse staffing and patient mortality, nurse burnout, and job dissatisfaction. JAMA 2002; 288(16): 1987-93. [http://dx.doi.org/10.1001/jama.288.16.1987] [PMID: 12387650] ] suggests that additional nurse/patient ratio increased the odds for burnout and accordingly job dissatisfaction by 15%, resulting in a high turnover intention. Unlike job satisfaction, the results for organizational commitment as an influencing factor of turnover intention were inconsistent in the current literature review: related to turnover intention in some studies (19 studies in this literature review), but unrelated in several studies. Therefore, studies investigating influencing factors of turnover intention should continue. Besides these variables, several studies reported that turnover intention was affected by some organizational factors not by directly but indirectly through some mediating variables such as social and psychological supports or nurse mentoring [4Kim YN, Jang IS. Moderating and mediating effects of social support in the relationship between work-family conflict, job satisfaction and turnover intention among married women nurses. J Korean Acad Nurs Adm 2014; 20(5): 525-34. [http://dx.doi.org/10.11111/jkana.2014.20.5.525] -6Choi HJ. Moderating effects of work-family conflict between job-organizational career characteristics and turnover intention among nurses in small and medium-sized hospitals. J Korean Acad Nurs Adm 2015; 21(3): 297-307. [http://dx.doi.org/10.11111/jkana.2015.21.3.297] ]. Based on the literature, it is assumed that the reasons for the high turnover in Korean nurses are different from those in the USA or other developed countries. The high rates were caused not by the migration of nurses to other countries or by a low number of new graduates but more by individual or organization related factors. For example, a relatively young workforce intends to leave their jobs for the specific purpose of working outside the organization or even abroad [4Kim YN, Jang IS. Moderating and mediating effects of social support in the relationship between work-family conflict, job satisfaction and turnover intention among married women nurses. J Korean Acad Nurs Adm 2014; 20(5): 525-34. [http://dx.doi.org/10.11111/jkana.2014.20.5.525] , 6Choi HJ. Moderating effects of work-family conflict between job-organizational career characteristics and turnover intention among nurses in small and medium-sized hospitals. J Korean Acad Nurs Adm 2015; 21(3): 297-307. [http://dx.doi.org/10.11111/jkana.2015.21.3.297] , 7Han MR, Gu JA, Yoo IY. Influence of workplace bullying and leader-member exchange on turnover intention among nurses. J Korean Acad Nurs Adm 2014; 20(4): 383-93. 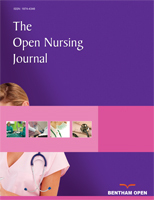 [http://dx.doi.org/10.11111/jkana.2014.20.4.383] , 16Lansiquot BA, Tullai-McGuinness S, Madigan E. Turnover intention among hospital-based registered nurses in the Eastern Caribbean. J Nurs Scholarsh 2012; 44(2): 187-93. [http://dx.doi.org/10.1111/j.1547-5069.2012.01441.x] [PMID: 2248 6803] -17Osuji J, Uzoka FM, Aladi F, El-Hussein M. Understanding the factors that determine registered nurses’ turnover intentions. Res Theory Nurs Pract 2014; 28(2): 140-61. [http://dx.doi.org/10.1891/1541-6577.28.2.140] [PMID: 25087326] ], while old aged nurses, who choose to stay, may think they have relatively fewer choices for other employment. However, due to economic recession in brain-importing countries and the lack of English fluency by the nurses, the opportunities for working abroad seems to be a limited option for Korean nurses. These facts are also evident by the number of nurses migrating to other countries. In addition, a higher or lower education level has a role in a higher turnover rate among a more highly educated group of nurses [6Choi HJ. Moderating effects of work-family conflict between job-organizational career characteristics and turnover intention among nurses in small and medium-sized hospitals. J Korean Acad Nurs Adm 2015; 21(3): 297-307. [http://dx.doi.org/10.11111/jkana.2015.21.3.297] ]. The high level of turnover intention may be explained in part by these demographic characteristics such as younger age, education opportunities, tenure, position and so on, but it does not cover all the reasons for turnover intention. Nurses’ role stress due to role ambiguity is also an appealing factor of nurse turnover intention [19Son EJ. Nurses role conflicts influencing on the organizational commitments and turnover intentions. Unpublished Master’s thesis, Kyunghee Univ 2011.]. Schedule flexibility was related to turnover intention of nurses in 10 European countries [20Leineweber C, Chungkham HS, Lindqvist R, et al. Nurses’ practice environment and satisfaction with schedule flexibility is related to intention to leave due to dissatisfaction: A multi-country, multilevel study. Int J Nurs Stud 2016; 58: 47-58. [http://dx.doi.org/10.1016/j.ijnurstu.2016.02.003] [PMID: 27087297] ]. These factors are not a simple characteristic such as age or education. Rather, it is more dependent on organizational management or strategies. As evident from those results, turnover studies should be potentially focused on the fact that there still might be some other uncovered factors from the other side of the turnover umbrella as we face new generations and cultures. This study has some limitations. This literature review used only articles from Academic Journals, excluding theses or dissertations and non-academic journals such as periodicals. Additionally, the author did not consider the appropriateness of the study methods or statistical analyses, but simply categorize the main characteristics of the studies. Lastly, the author reviewed studies only published from 2006 to 2015 that examined turnover; thus, studies on nurse turnover conducted since 2016 need to be considered for further trends analyses. Turnover intention has been a good substitute for turnover and has shown a strong correlation with turnover [17Osuji J, Uzoka FM, Aladi F, El-Hussein M. Understanding the factors that determine registered nurses’ turnover intentions. Res Theory Nurs Pract 2014; 28(2): 140-61. [http://dx.doi.org/10.1891/1541-6577.28.2.140] [PMID: 25087326] ]. However, it does not reflect all the facts underlying nurses’ actual turnover. There was a trial study that developed a tool for hospital nurse intention to keep their positions with 47 items and a high internal consistency [14Lee EH, Cho KS, Son HM. A study of hospital nurse’s intention to keep nursing job. J Korean Clin Nurs Res 2014; 20(1): 15-27.]. Therefore, development of a tool capturing the characteristics of Korean nurses’ turnover with underlying conditions and their specific needs is necessary for further research [14Lee EH, Cho KS, Son HM. A study of hospital nurse’s intention to keep nursing job. J Korean Clin Nurs Res 2014; 20(1): 15-27., 15Yeun EJ, Kim H. [Development and testing of a nurse turnover intention scale (NTIS)]. J Korean Acad Nurs 2013; 43(2): 256-66. [http://dx.doi.org/10.4040/jkan.2013.43.2.256] [PMID: 23703603] ]. In addition, as noted by Hayes et al. [21Hayes LJ, O’Brien-Pallas L, Duffield C, et al. Nurse turnover: a literature review. Int J Nurs Stud 2006; 43(2): 237-63. [http://dx.doi.org/10.1016/j.ijnurstu.2005.02.007] [PMID: 15878771] ], the definitions of turnover are often inconsistent; accordingly, the results of turnover studies stating the turnover reasons should be reviewed with cautions. It is clear that there is no one complete solution for nurse turnover, no matter how great supportive retention strategies are implemented. Therefore, efforts for better conditions should be continued. For these changes, first, further research should be conducted with a high level of analytic methods integrating each factor of turnover decision, leading to understanding the culture of Korean nurses’ turnover. As approved in other European countries [7Han MR, Gu JA, Yoo IY. Influence of workplace bullying and leader-member exchange on turnover intention among nurses. J Korean Acad Nurs Adm 2014; 20(4): 383-93. [http://dx.doi.org/10.11111/jkana.2014.20.4.383] ], level of satisfaction with work schedule flexibility might be regarded a new significant explanatory factor for nurses’ intention to leave in Korea. This study is the first known study in Korea that examined the trends in nurses’ turnover using academic nursing journals. It can be projected from the literature review that the nurse shortage in Korea will continue. In addition, turnover decisions are mainly dependent on work-related characteristics as well as individual characteristics, and some of the factors are well known to nursing leaders. If the factors related to turnover are well predicted and adjusted, some of the nurse turnover could be prevented. Therefore, further investigations should be continued with different types of efforts to examine the turnover reasons and appropriate policies for a culture of nursing retention. This author received no financial support for the research, authorship, and/or publication of this article. Lawler EE. Satisfaction and behavior 1983; 287-301. Kim JI, Son HM, Park IH, et al. Phenomenological study on burnout experience of clinical nurses who have turnover intention. Korean J Women Health Nurs 2015; 21(4): 297-307. Lee EH, Cho KS, Son HM. A study of hospital nurse’s intention to keep nursing job. J Korean Clin Nurs Res 2014; 20(1): 15-27. Son EJ. Nurses role conflicts influencing on the organizational commitments and turnover intentions. Unpublished Master’s thesis, Kyunghee Univ 2011.